No need to worry: The Wolfpack is not some kind of Hangover spinoff and it certainly has nothing to do with the shirtless werewolves of the Twilight franchise. In fact, the films that the documentary actually shares the most cinematic DNA with are Be Kind Rewind and Dogtooth. 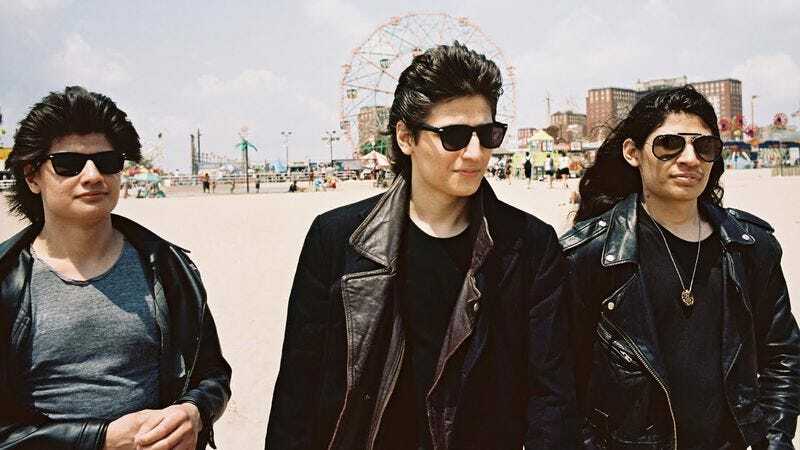 With its low-budget recreations of popular films, The Wolfpack is as charming as it is horrifying, taking a close look at the Angulo brothers, who’ve spent their young lives holed up in an NYC apartment by their parents. The film, which claimed the Grand Jury Prize for U.S. Documentary at this year’s Sundance Film Festival, examines how the siblings used movies as way to stave off loneliness and get a glimpse of the world outside. The Wolfpack opens in Chicago on June 19 (exclusively at The Music Box Theatre) and The A.V. Club has an opportunity for you to win a pair of tickets to see it on opening night. For your chance to win, simply send an email to avcontests@theonion.com with the subject line “The Wolfpack” and your full name in the body of the email. On Monday, June 15, we’ll select eight winners at random who will receive further instructions on how to claim their tickets. Estimated value of the prize is $20. An official plot synopsis and trailer can be found below.